Aug 28 – St Edmund Arrowsmith, SJ, (1585-1628) – Priest & Martyr, The Holy Hand | ADULT CATECHESIS & CHRISTIAN RELIGIOUS LITERACY IN THE ROMAN CATHOLIC TRADITION: hosting ONLY True Christians!! !, or "How to think Catholic!!" The Internet – where else you can curse out and become furious with people whom you have never met? What a wonderful invention. Remember, it’s not the technology. It’s the humans. The technology is neutral, it merely amplifies what was already there. Granted it may serve as a catalyst to more and greater positive and negative interactions, but “It IS in the way that you use it.” Thank you, Eric Clapton. n.b. the only exception I have found, of course, is the University of Virginia blogs. Everyone stays on topic, refers to each other as Mr./Ms., liberally quotes Jefferson, and all remain quite respectful of each other throughout the entire discourse, citing meaningful reference, analogy, and example. It is a special place, isn’t it. Profanity would be met with horror, and certainly never in writing, and never in a public forum. Puhllease! We are ladies and gentlemen here, not the help. (please never take me seriously when I sound like that. I’m just having fun!) Civilization and civility clings to life in a few very sparse, special pockets. Like Ireland in the Dark Ages. See http://tiny.cc/inf9y. Civility, anyone? What happened to good manners? Civil discourse? Our democracy relies upon the respectful exchange of viewpoints, or it should. For that matter, so does civilization? So instead of the effort, discipline, and charity civil discourse requires, we remain silent? God help us all. Class cannot be bought, and very rarely taught to adults. It is realized in the rearing of children, if at all. If you want to get depressed about humanity, read blogs. “Love one another?” Jesus, you’re kidding, right? That is a good one. What else ya’ got? A Jesuit saint, finally! I shouldn’t act so surprised, should I? I couldn’t resist. Ok, there go a goodly part of Mara’s chances for a quality education…I hope the Holy Ghost Fathers have a sense of humor. We must remember, the idea of separation of Church and state was deeply radical at the time of US Revolution. The idea that one could hold public office and not be of a certain denomination was unheard of. The idea held that loyalty to one’s country was predicated on one’s religious beliefs, and religious beliefs and attendance at services was mandatory and absences were very noticeable, was prevalent and had been for all of history, to that point. Go back as far as you like, but take the god-king Pharaohs as a primary example. Coronation has many parallels and overtones with ordination and vice versa, both include anointing, and both always in churches. Jesus is the Christ because He is King, Priest, & Prophet. “A Deo rex, a rege lexa!…The king is from God, the law from the king!” -James I of England. Henry IV, Holy Roman Emperor, knelt in the snow of Canossa for three days, 25 January to 27 January 1077, begging the Pope to rescind his excommunication. Excommunication of the sovereign meant subjects no longer had feudal duty and may overthrow at will, and should. When Napoleon took the crown from the altar of Notre Dame, it having been blessed by Pius VII, and placed it on his own head, instead of having the Pope crown him, as was traditional, the symbolism was clear. It was he himself who gave himself power, not the Church. If one was not of the established state religion, how could one claim loyalty to the state? The Church supported the state and gave it legitimacy. The state gave protection to the Church, usually, exemption from taxes, its own ecclesiastical courts, etc., all were most historical. When the Roman Empire collapsed in the West, the Church was the only remaining institution resembling some/any form of government. People came to rely on it for such. The very vestments worn today are the uniforms of office of Roman civil servants. In England, during the reign of Henry VIII, it became dangerous to remain Catholic. It became right out mortal to be priest. It became a death wish to minister. The main source of information on St Edmund is a contemporary account written by an eyewitness and published a short time after his death. Edmund was the eldest son of Robert Arrowsmith, a farmer, and Margery Gerard’s, a member of an important Lancashire Catholic family, four children. Edmund was born at Haydock, England. He was baptized Brian, but always used his Confirmation name of Edmund. The name Edmund has a sentimental value for me. It is a long given Christian name in the McCormick family. Edmund’s parents refused to attend Protestant services, harbored priests in their home, and at one point were arrested and imprisoned in Lancaster Castle for their actions, dragged away in the night, leaving the shivering child Edmund in his night clothes, along with his siblings, until neighbors took them in. Edmund’s grandfather, Nicholas Gerard, was recusant, one who refuses to attend Anglican services, and spent time in prison. His other grandfather died in prison a confessor, one who suffers persecution, including torture. The family was constantly harassed for its adherence to Roman Catholicism. English Catholics have always been devoted to Our Lady and the first of St Edmund’s biographers speaks of his devotion to her. On his way to school at Sennely Green, it was his custom to say part of the Little Office of Our Lady and he would recite vespers and compline on his return. Edmund was soon forced to quit the seminary and return to England due to ill health, but recovered and returned to Douai in 1607. Edmund was ordained in Arras, France on December 9, 1612 and sent on the English mission (sent back to England to minister to Catholics) the following year. The return to England was also dangerous. Queen Elizabeth’s governors and hierarchy lived on confiscated Catholic property, so public distrust of priests supposedly working as agents of Catholic Spain and working for a Spanish invasion, worked to their advantage, keeping the population in a constant state of paranoia, dependant on an intrusive government. To keep all this in place, Elizabeth had her own Inquisition. Outspoken, Edmund was arrested in 1622 and questioned by the Protestant bishop of Chester, Dr. Bridgeman, and various Protestant clergymen of the area. Edmund spent his prison time arguing theology with them. He was released unexpectedly when King James I ordered all arrested priests be freed, in a political maneuver to temporarily appease the Spanish. Even in these oppressive times Edmund was known for his pleasant disposition, sincerity, energy, fervor, zeal, and wit. After making the Spiritual Exercises of St Ignatius of Loyola (ask a Jesuit), Edmund joined the Jesuits in 1624, at Clerkenwell, London then immediately returned to Lancashire. In 1628, he was arrested when betrayed by a fellow Catholic to the local justice of the peace, a Mr. Rostern. His betrayer was a young man, a Mr. Holden, the son of the landlord of the Blue Anchor Inn in south Lancashire, where Fr. Arrowsmith was staying. Fr. Arrowsmith had imposed a penance on Holden and his wife to which they would not submit. Fr. Arrowsmith had censored Holden for an incestuous marriage. The Holdens were first cousins. Fr. Arrowsmith tried to escape, warned by Capt. Rawsthorn that he was about to send soldiers for him, but Edmund was captured at Brindle Moss, where his horse refused to jump a ditch. A small statue of Our Lady Edmund always carried with him dropped as he was captured. It now resides at Arrowsmith House. His captors bought themselves drinks with nine shillings of Edmund’s money. Edmund preached the Gospel to his fellow prisoners while in jail. On August 26th 1628, Sir Henry Yelverton ordered Edmund to be brought to the bar, and during the trial Yelverton swore that he would not leave Lancashire before the prisoner was executed and made sure the prisoner saw his own bowels burn before his face. Sir Henry inflamed the jury with his bitterness. Edmund decided to let the court prove the charge rather than help them with a confession, replying, “Would that I were worthy of being a priest!” When the jury found him guilty of being a Jesuit priest, he fell to his knees, bowed his head, and exclaimed, “Thanks be to God!” The sentence was read,”You shall go from hence to the place from whence you came. From thence you shall be drawn to the place of execution upon a hurdle; you shall there be hanged till you are half dead; your members shall be cut off before your face and thrown into the fire, where likewise your bowels shall be burnt: your head shall be cut off and set upon a stake, and your quarters shall be set upon the four corners of the castle; and may God have mercy upon you.” No one in Lancashire could be found to perform the execution. Finally, a deserter, under the same sentence, was found to do the deed. Brought to execution, “the usual butchery”, Edmund spoke again. “I freely offer Thee my death, O sweet Jesus, in satisfaction for my sins, and I wish this little blood of mine may be a sacrifice for them”. He asked the Catholics present to pray for him. He then prayed for the King, forgave his persecutors and asked for forgiveness from all those whom he may have offended. He continued, “Be witnesses with me that I die a constant Roman Catholic and for Christ’s sake; let my death be an encouragement to your going forward in the Catholic religion.” His confession on the day of his execution was heard by fellow-prisoner Saint John Southworth. His final words before the executioner pushed him from the ladder were,”Bone Jesu” (O good Jesus). 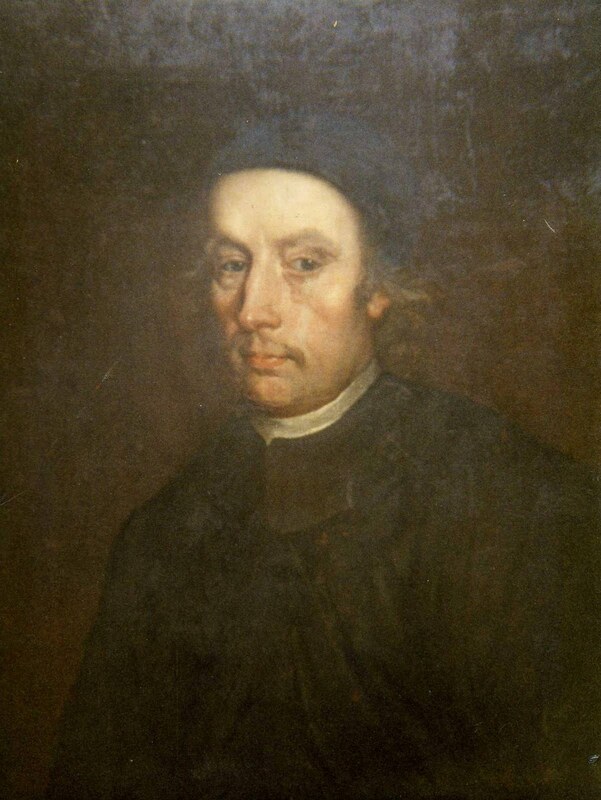 Edmund Arrowsmith, SJ, was hanged, drawn, and quartered at Lancaster on August 28th, 1628. He was 43 yrs old and had been a Jesuit for only five years. From his remains, his hand was cut off by another Catholic as a relic. 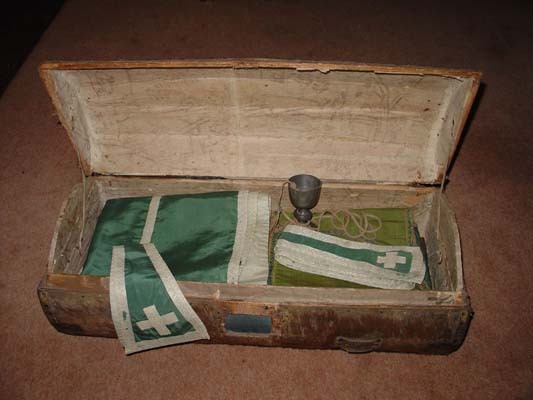 It has been preserved and kept by the Arrowsmith family until he was beatified and it now rests in the Catholic Church of St Oswald and St Edmund Arrowsmith, Ashton-in-Makerfield, England in a silver casket. Many miracles are reported due to it.